Taking care of your teeth, gums and mouth should be an important part of your daily routine. With good dental hygiene, you will be able to avoid tooth decay, prevent bad breath and stay away from gum disease. You will also be able to keep your teeth strong as and when you get older. There are many reasons why you should brush and floss regularly. Whenever your smile, the first thing that someone will notice is your teeth. If your smile makes you sad because your teeth are cracked or yellow, there is a solution for you. There are many products you can buy to whiten the teeth but if the teeth are chipped or broken, you might need professional assistance. You can see a dentist who can help you fix your teeth, because we shouldn’t be embarrassed to smile. The process of teeth whitening is basic and simple. A whitening gel is applied to the teeth which is activated by a light and the gel will absorb the stains from your teeth. It will return your gorgeous smile to you within half an hour. However, you need to understand that it is your responsibility to look after your teeth and while some conditions can be treated easily, many others can cause serious illnesses. A lot has been written and spoken about the importance of oral hygiene and you need to put the information to use in your daily life. When you have a healthy mouth, you will be able to keep away from numerous medical disorders. An unhealthy mouth could mean a gum diseases and a risk of serious health problems like diabetes or a heart attack. 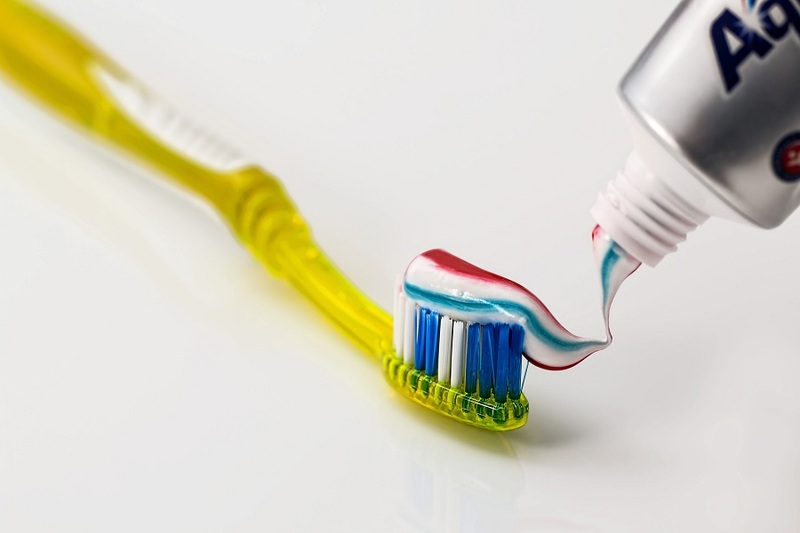 The need for good oral hygiene is getting stronger by the day and it is important for you to understand the importance of oral health and its connection to your health and wellbeing. One look at your mouth and a doctor can tell what is going on inside the body. It serves as a vantage point for the detection of early symptoms and signs of a disease that affects the entire body and not just a few parts. A condition like diabetes or AIDS are easily apparent from the mouth. More than 90% of the total systemic diseases show oral symptoms and signs. A symptom can continue to grow day after day and if you do not pay attention to oral hygiene, it can cause a huge problem to your life. A doctor might collect and test saliva for more than one reason. It is a very helpful diagnostic tool which helps identify a number of conditions. The cortisol levels in saliva can be used to test for stress response in an infant. Some cancer markers can also be detected in saliva. Incase of a routine saliva testing, one can measure environmental toxins, illegal drugs and hormones indicating HIV infection or hepatitis. There are many commercial saliva kits that help detect HIV specific antibodies. It is estimated that in the future saliva testing will replace blood testing as a means of monitoring diseases like cirrhosis of the liver, Parkinson’s disease and diabetes. Saliva is the main defense against any organisms that cause diseases like viruses and bacteria. The saliva in your mouth has antibodies which attack viral pathogens like HIV and cold. It also inhibits the growth of the naturally occurring fungus which is known as Candida albicans. If the proteins are weakened by an HIV infection or any other medical condition, candida will grow out of control and it will result in a fungal infection known as an oral thrush. This will require you to consult a dentist and get a professional opinion. If you notice that your gums are aching or bleeding, it is best to speak to a professional at the earliest. You need to understand that even though saliva helps protect you from invaders, it will not always do the job. There are more than 500 species of bacteria inside your mouth at a point of time and they constantly form dental plaque which is a sticky film which clings to the teeth and can cause health problems. Now if you do not brush and floss daily to keep your teeth clean, the plague will build up on the gum line and will make more space for the bacteria in your gums and teeth. This infection is known as gingivitis. It can lead to a serious gum infection known as periodontitis. There is an even more severe form of infection known as trench mouth. The bacteria that is present inside your body will not enter the bloodstream but there are certain invasive dental treatments which can provide a port of entry for the bacteria. Treatments that reduce saliva flow can disrupt the normal balance of bacteria in your mouth and can compromise the normal defenses of the mouth by allowing bacteria to enter your bloodstream. When you have a healthy immune system, any presence of oral bacteria inside the bloodstream will not cause any problems. The system will quickly dispense with them and this will help prevent an infection. If the immune system is weak, the oral bacteria in your bloodstream will cause you to develop an infection in another part of the body. If you have a gum infection and you do not get it treated on time, it will result in a loss of the teeth. However, its consequences might not end there. Research has suggested that there is an association between the oral infections and cardiovascular disease, diabetes and preterm birth. Diabetes: Those who already have diabetes are at an increased risk of a gum disease. The chronic gum disease might make diabetes difficult to control and an infection can cause insulin resistance which disrupts blood sugar control. Cardiovascular disease: An oral inflammation caused due to bacteria can play a major role in blood clots and clogged arteries. The bacteria inside the mouth can cause inflammation throughout the body and it may serve as a base for the development of plaques in the arteries and it could increase the risk of a stroke. People with a severe gum infection are at a higher risk of a stroke. Preterm birth: An acute gum disease can increase the risk of preterm delivery. A number of low birth weight babies are born every year due to oral infections. This happens when the oral bacteria releases toxins which end up in the blood stream of the mother and it interferes with the growth of the fetus. This infection can cause the mother to produce labor triggering substances sooner than normal. If you did not have enough reasons to take good care of your mouth, the relationship between your overall health and oral health will give you many more. Always practice good oral hygiene throughout your life. It is an investment you are making for your good health and there is no reason you should compromise here. If you look after your oral health, you will be able to enjoy a healthy mind and body. Your overall health and wellbeing will depend on how healthy your teeth and gums feel. You only need to spend a few minutes looking after your teeth and if you can do that, you will be able to enjoy a healthy life. Resolve to practice good oral hygiene at all times.